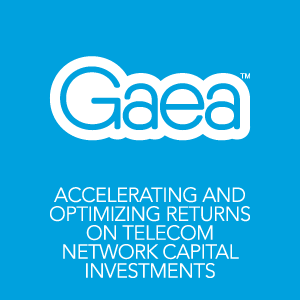 Gaea’s Co-founder, Sury Balasubramanian, presented the Accelerating and Optimizing Returns on Telecom Network Capital Investments webcast. Review the slide deck. Overall mobile and fixed-network spending is expected to grow for the second consecutive year, from 2014 to 2015. According to Gartner, average enterprise bandwidth will increase 20% – 50% per year. Operator spending on mobile infrastructure will increase by 8% in 2015, to $43.36 billion, and investments in fixed networks is set to rise almost the same margin, to $10.33 billion. Get lessons learned from leading communications companies that are accelerating and optimizing returns on telecom network capital investments. This webcast is for leaders of network infrastructure, operations, finance and investment within organizations that build or operate fiber, wireless or wire-line telecommunications networks. We’ll focus on real-world examples of how the Oracle Primavera EPPM suite, in conjunction with other Oracle products, drives operational efficiency by enabling better decision-making throughout the capital-asset lifecycle. This entry was posted in Blog, Webcasts and tagged Oracle Primavera EPPM, Telecommunications. Bookmark the permalink.